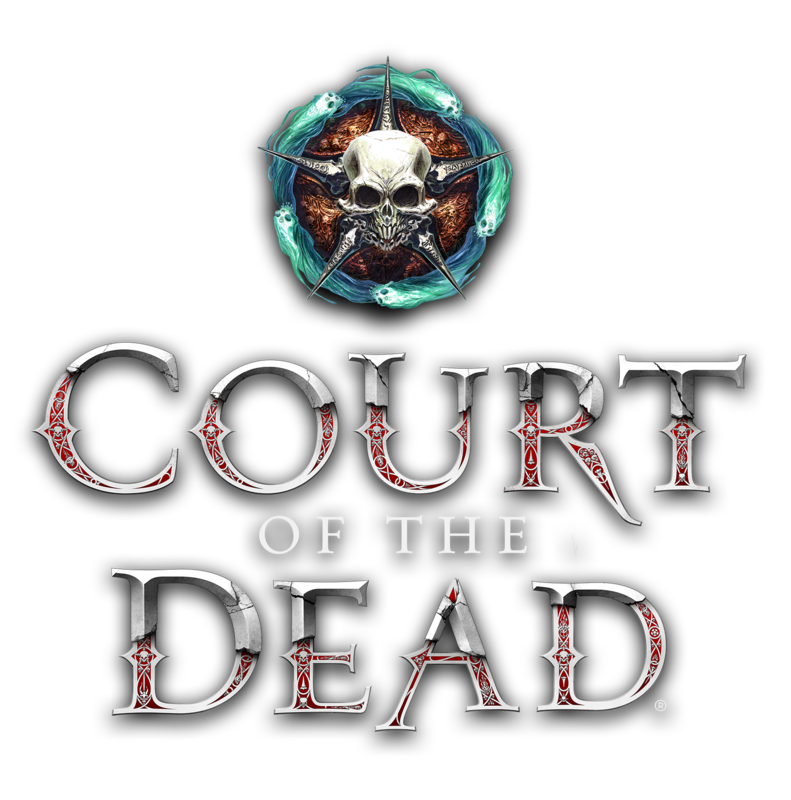 The Death figure indicates Death’s favor in the game. The Malavestros figure brings a bit of chaos with him wherever travels, and the Guild figures represent six of the many guilds of the Underworld. 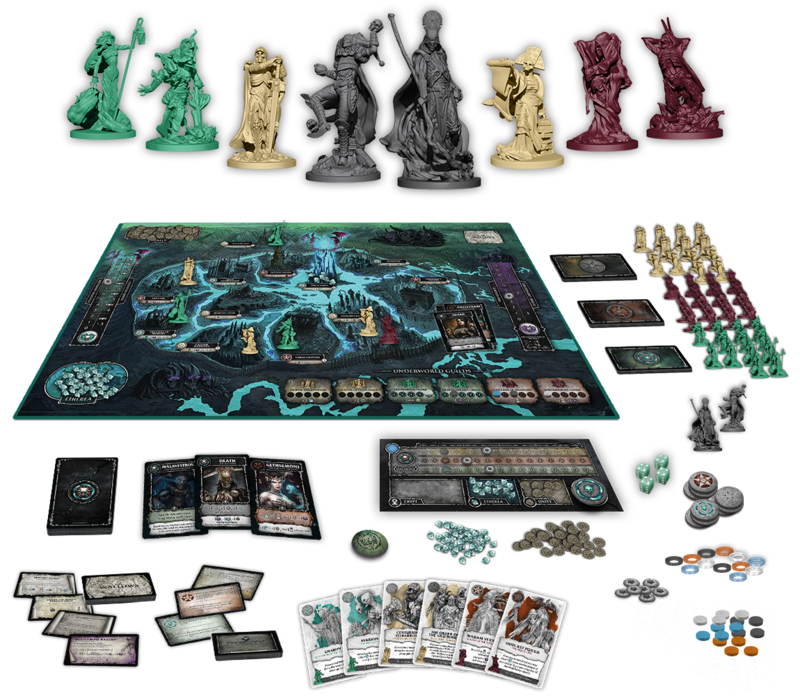 The main game board is a map of the Underworld’s Capital City of Illverness. 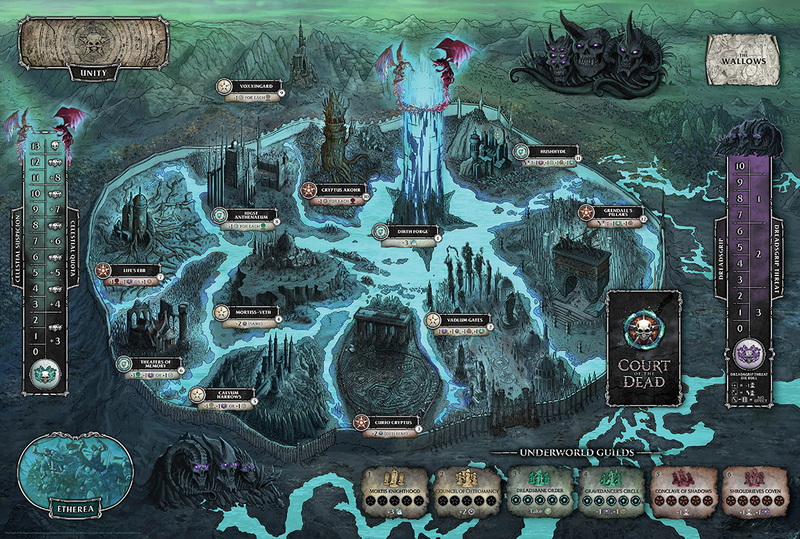 The city is divided into 12 locations, each location controlled by one of the Underworld Factions of Bone, Spirit, or Flesh. 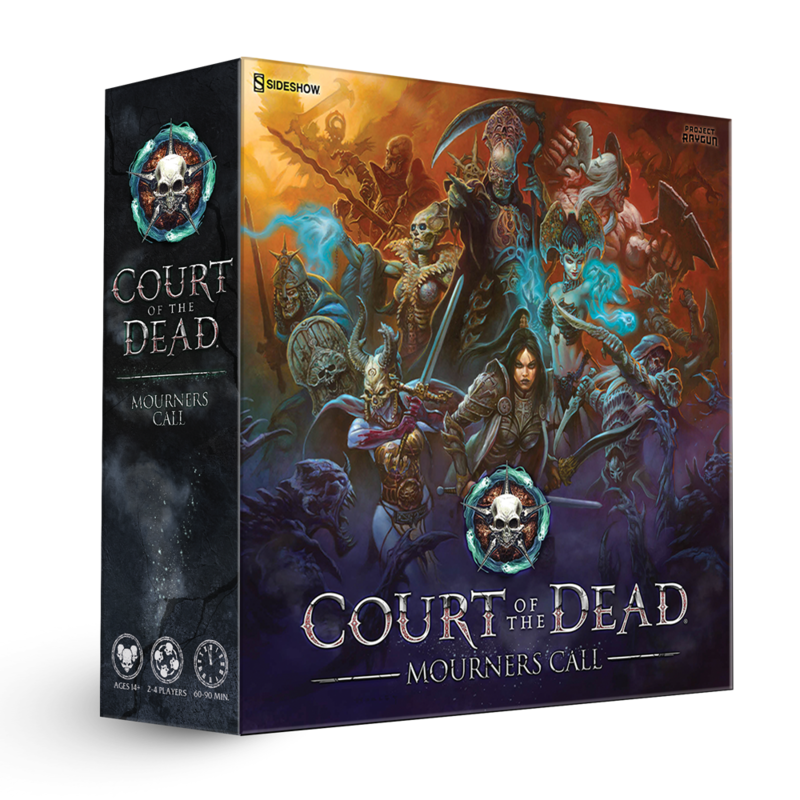 The Court cards represent the most influential and powerful mourners, and Death himself. 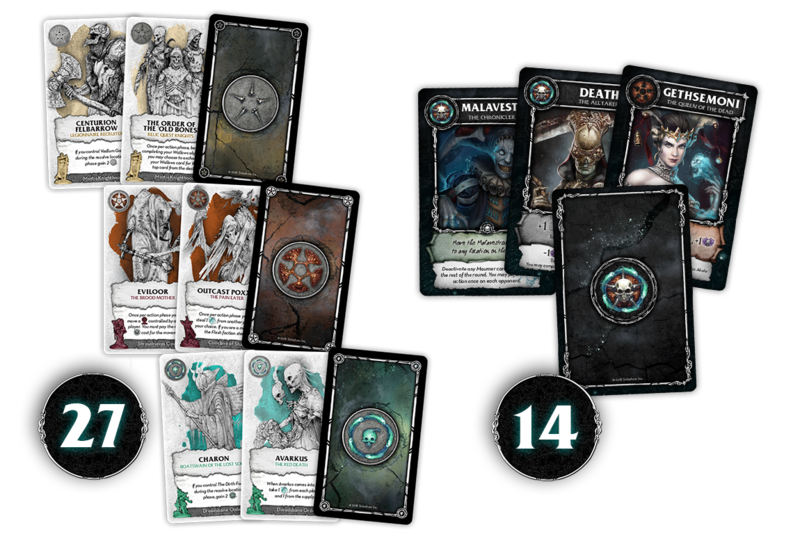 The Mourner cards are separated into three faction decks. 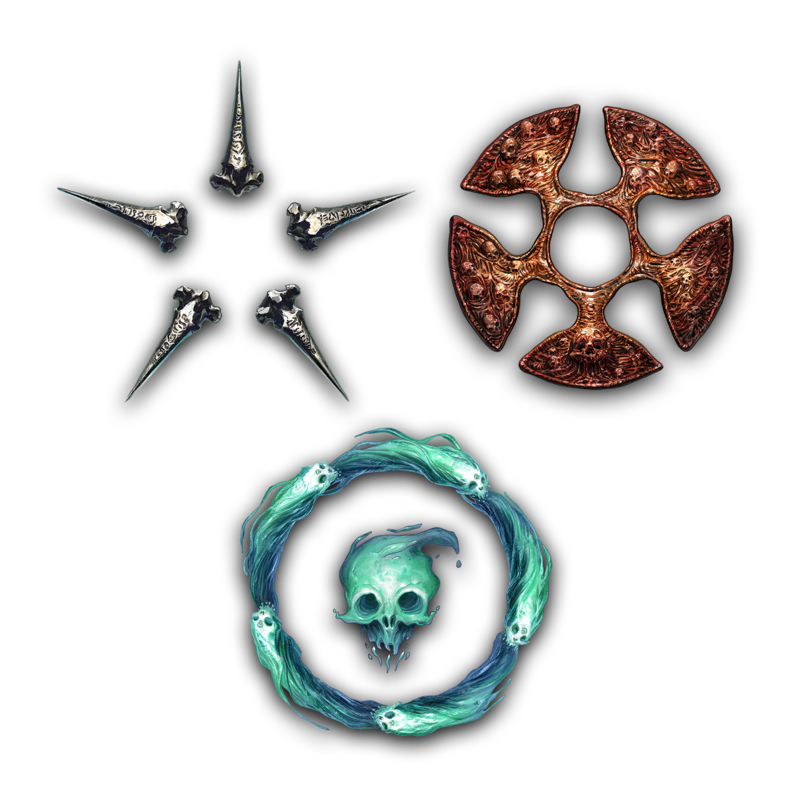 Mourners cards provide special abilities to the controlling player. 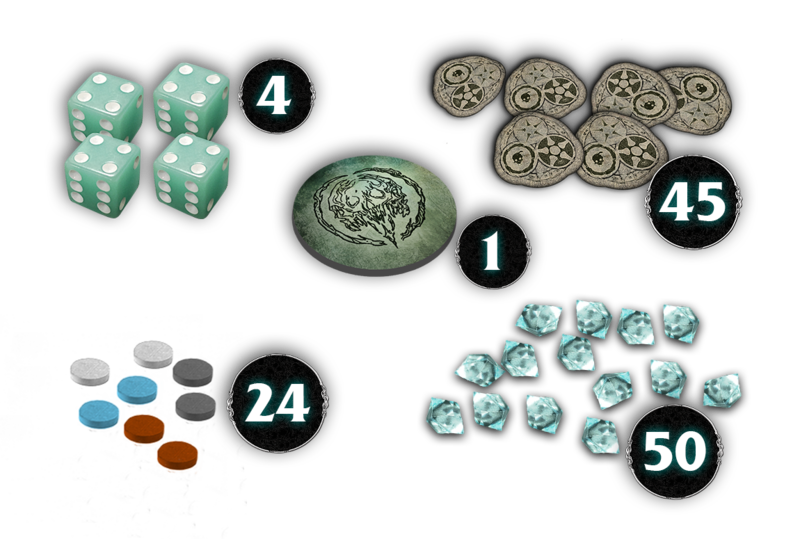 Claim your Faction with a Faction token and choose your Ulterior Motive for the game. 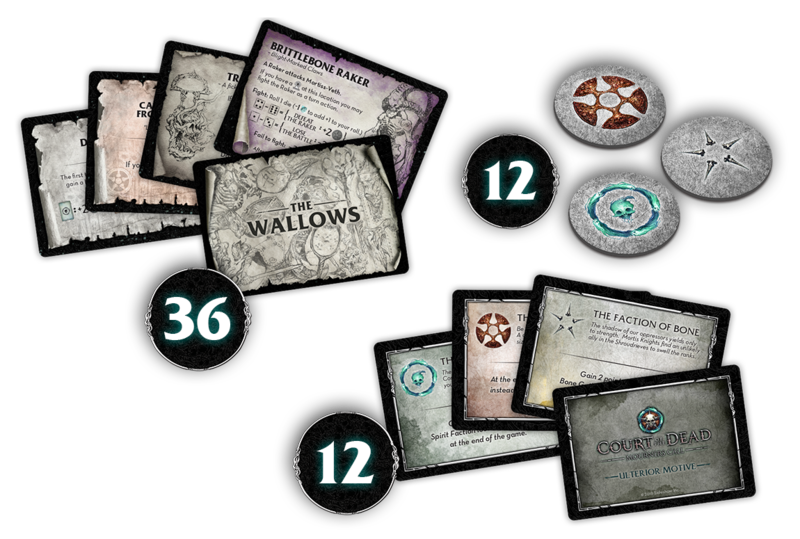 Wallows cards represent quests handed down from the Court of the Dead. 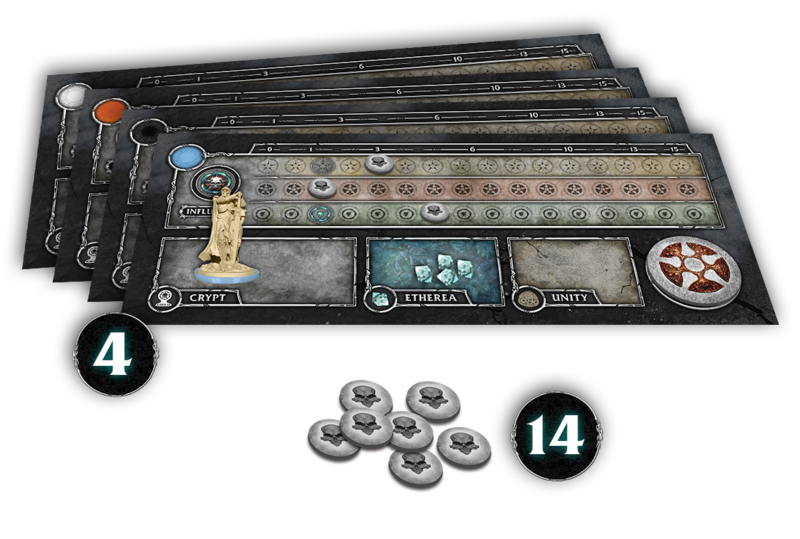 The player board helps players manage their resources, hold their guild figures, and track their faction influences. 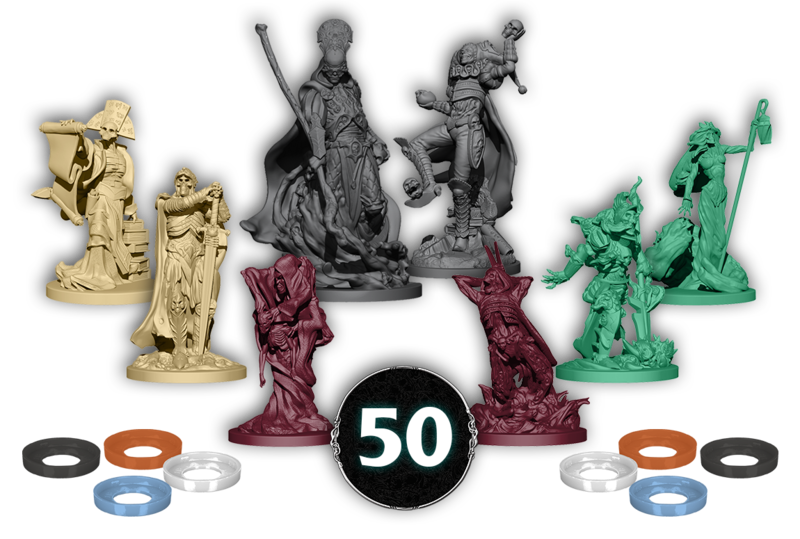 Etherea gems, Unity tokens, Dreadsbane token, dice, and wooden Guild figure trackers. Sign up to receive exclusive news, product updates, and information from Project Raygun. Project Raygun is a trademark of USAopoly, Inc. © 2018 USAopoly, Inc.